ayfie, a pioneering global software provider for “big text” analytics, is pleased to announce its latest partnership with Thommessen, one of the largest law firms in Norway. Leveraging ayfie’s pioneering knowledge discovery product ayfie Locator, which is tailored to the legal sector, Thommessen will be able to improve efficiency in all their legal projects and gain a competitive advantage. ayfie Locator for knowledge discovery will pull Thommessen’s internal data into a Universal Index™, normalize and structure it, and turn it into an expertise knowledge base for their lawyers. The unique combination of linguistics, machine learning and smart search will ensure that Thommessen’s lawyers get the information they need – and even hidden connections between related documents – anytime, anywhere and across their local and international teams. 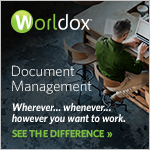 The solution enables rapid document access across multiple systems, file servers and databases, and will extract immediate insight from unstructured data in emails, PDFs and even scanned documents. 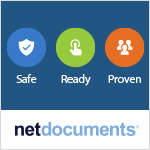 All documents will be automatically classified by topic, case, document type and practice group. "We are proud that Thommessen has decided to partner with ayfie for AI projects as both companies are a great fit. Thommessen is a very innovative law firm that embraces digitalization and legal technology. ayfie brings a lot of know-how and proven success to the table when it comes to knowledge discovery for law firms and capitalizing on internal expertise." – Erik Baklid, CEO, ayfie Group.